Socks from System Hygiene are designed to bring you high levels of comfort and durability. Perfect for those who are on their feet all day, our calf length socks are available in different colours and are sold in pairs. Thanks to high quality materials and fibres, this range of socks have lifelong shape retention and extreme attention to detail throughout the manufacturing process. 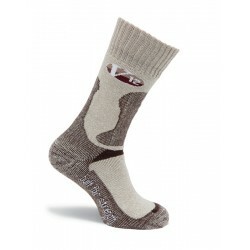 With hardwearing toes and heels, these socks are available in a wide range of sizes. Made by V12, they have cushion comfort pile lining and a soft top to guarantee comfort.